It’s no surprise that Help-U-Sell Honolulu Properties is making the top of the list again. Richard Cricchio and his team are really having a tremendous start to 2018. 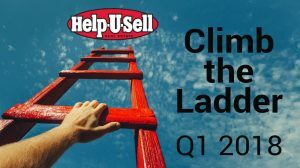 Patrick Wood and his Help-U-Sell Prestige Team also are having a great first quarter, along with Jack Bailey of Help-U-Sell Greensboro, and Mario Ferrante at Help-U-Sell Metropolitan. Congratulations to everyone in our top…eleven! Thanks to a three-way tie . We have also ranked our office by gross sales volume. Many of our offices from the usual ranking also make a place here, but we’d like to take a moment to congratulate David Bartels and the team at Help-U-Sell Full Service Realty for ranking in the top three this quarter! 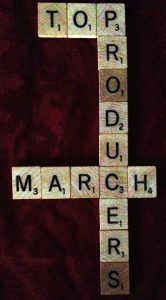 March was such a robust turnout for home sales that we have three offices each tying for third, fifth and sixth places, making it impossible to have just a normal “top ten” for last month. This month, we’re bringing you the “Top 12” in Total Sales. 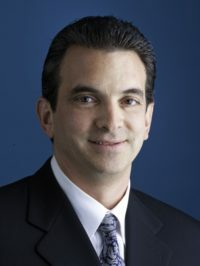 Congratulations once again to Richard Cricchio at Help-U-Sell Honolulu Properties for making it to the top of our list. 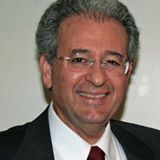 Mario Ferrante at Help-U-Sell Metropolitan also finished strong in March with 15 total sales. Additionally, we are introducing a new type of Top Ten list based on gross sales volume, and thus putting a spotlight on a completely different take on other top performers in the Help-U-Sell family. While Richard Cricchio tops this list as well (! ), we’re also seeing impressive results from Patrick Wood at Help-U-Sell Prestige Properties, Marc Dosik at Help-U-Sell Federal City Realty, and Dave Bartels at Help-U-Sell Full Service Realty. Congratulations to everyone for their success. Richard Cricchio wasn’t planning on a life in Hawaii or a career in real estate but the two things ended up being pivotal to where he is today, which is consistently at the top of our list of top performing broker offices. After his parents made a retirement move there in 1989, Richard soon followed to check it out. Attracted by the natural beauty of the island and outdoor lifestyle the temperate weather has to offer, he decided to make a life for himself there, also. He spent some time working for other real estate companies before making the leap to Help-U-Sell in 2000. Like many good start-up stories, he was initially operating on a shoe string budget and credit cards until all the pieces fell into place. Once his marketing efforts were in full force and his presence was made known on the island, business started picking up, and fast. Which is music to any entrepreneurial ear. 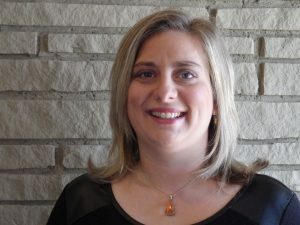 The downside was picking up criticism from other realtors in the community, who were not happy with the competition of a different, successful business model. “When I first started with the set fee model from Help-U-Sell, I got a lot of pushback. I was even told that what I was doing was illegal, which was, of course, completely untrue. The good news is, Honolulu is a small town. When people got to know me, I was eventually invited to join the Professional Standards committee by the Hawaii Association of Realtors and was accepted,” Richard shared. Success is a happy ending most people can appreciate.